Antigua Sailing Week is an Antiguan non-profit event wholly owned by Caribbean Sailing Events Inc. 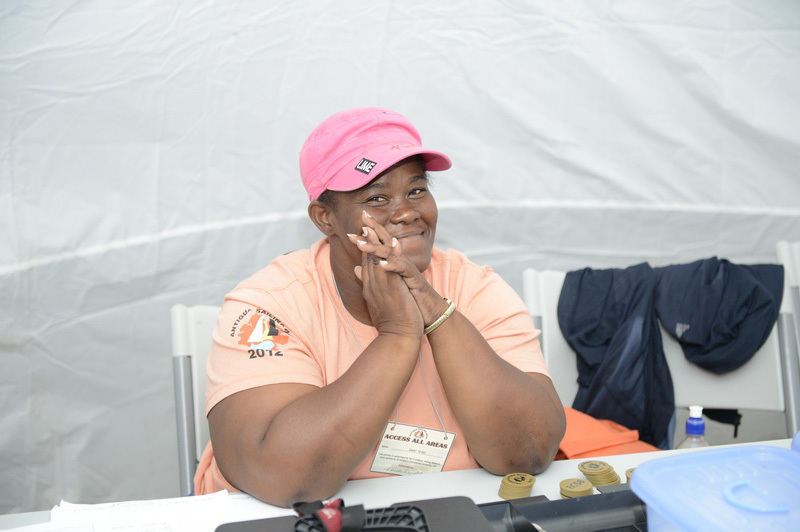 Under the direction of Lorna Saunders, there are several teams of individuals who may be the first friendly faces you meet when you arrive at Antigua Sailing Week. They ensure that all runs smoothly and if any questions or problems arise, they will be able to assist with their resolution throughout the week. The team works closely with the Regatta Organising Committee in forming race policy and course structures as well as with the Commercial Team to ensure seamless management of the event. Under the management of Alison Sly-Adams the commercial team is responsible for sponsorship, marketing, event management and sales and revenue management. Since the beginning of Antigua Sailing Week in 1968 volunteers have formed the backbone of the Regatta. Some of our volunteers have been with us from the beginning and love returning each year to meet up with old friends and enjoy the cameraderie of being involved in one of the most exciting sailing regattas in the world. Each year people fly in from around the globe and take part in everything from judging and protests, to cleaning the silverware and assisting with the prize giving. Our volunteers play a vital role in the success of the event and we would like to say a heartfelt thanks for the ongoing support we have received over the years. We can never have enough volunteers, however, so we are always interested in hearing from anyone who would like to get involved in the Regatta. Please e-mail info@sailingweek.com if you would like to volunteer and let us know if there is a particular aspect of the event that you would like to assist with. We welcome involvement from persons overseas. We are a non-profit organisation however and therefore have no budget to pay for travel, accommodation or meals. If you just want to be involved with a fantastic event, then please let us know and we will help find a role that is suitable for you. As the old adage goes, ‘Many hands make light work’, and of course once the work is done the serious business of drinking a tot (or lot!) of English Harbour 5 Year Old rum with your friends can begin.